One of the most popular reasons for having a will is to ensure that one’s assets will be distributed according to one’s wishes. The other side to that argument is that an heir may be inadvertently disinherited without a will specifying that he or she is to receive a portion of an estate. 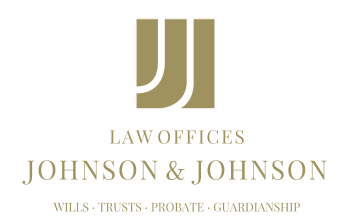 Below are some common estate planning mistakes made by Nevada residents that can lead to an heir not receiving his or her inheritance. Primarily, not having a will results in the laws of intestacy determining to whom an individual’s assets will go upon death. In many cases, the heirs are not those who would have been chosen by the decedent. Of course, it is important to periodically review the will to be sure that it still reflects a person’s wishes and does not require any changes. In some circumstances, a person may want to add an heir, such as a new child, or remove a person from a will, such as an ex-spouse. If these changes are not made in time, someone could be left without an inheritance or assets could go to an unintended recipient. Further, some people make specific bequests in their wills that could become problematic in the future. For instance, leaving a piece of property to someone, then selling the property, would mean that person is essentially disinherited since the property he or she was to receive is no longer part of the estate. Estate planning is an invaluable tool in ensuring that a person’s plans are followed. Many people in Nevada put off the process because they do not wish to contemplate their own deaths or believe that estate planning is only for older people. However, since no one knows when he or she will pass away, it is important at every age. Consulting with someone familiar with creating estate plans could ensure that an individual does not accidentally disinherit a loved one.